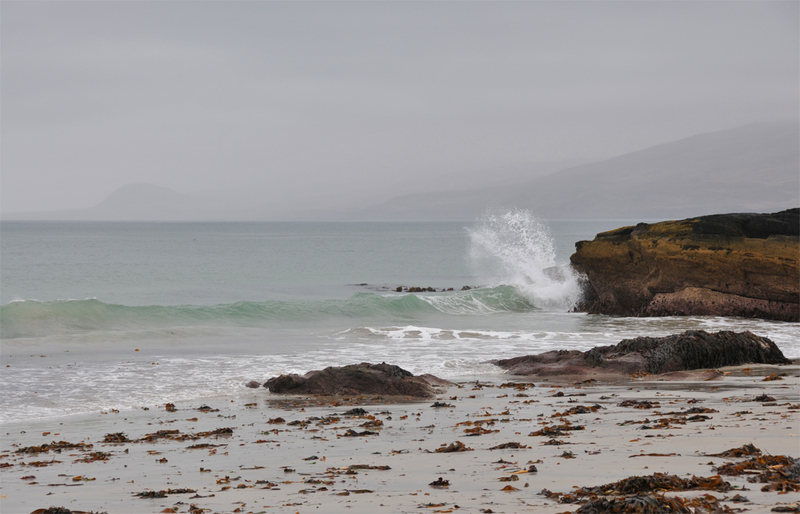 A view at Ardnave Point on a quite hazy and grey day. Looking east the hills in the north of Islay can only just been seen as grey silhouettes, the distinct shape of Mala Bholsa on the left. This entry was posted in Beaches, Cloudy Weather, Landscape, Repost and tagged Ardnave, Islay, Mala Bholsa by Armin Grewe. Bookmark the permalink. @islayblog A great day to be on Islay, I’d have thought. @islayblog 🙂 I don’t doubt it!